Superbly crafted in the UK, kit PAM301 includes period correct Weber 45DCOE9 carburettors but instead of the original 2 progression holes, our carburettors feature 3 progression holes for enhanced driveability. 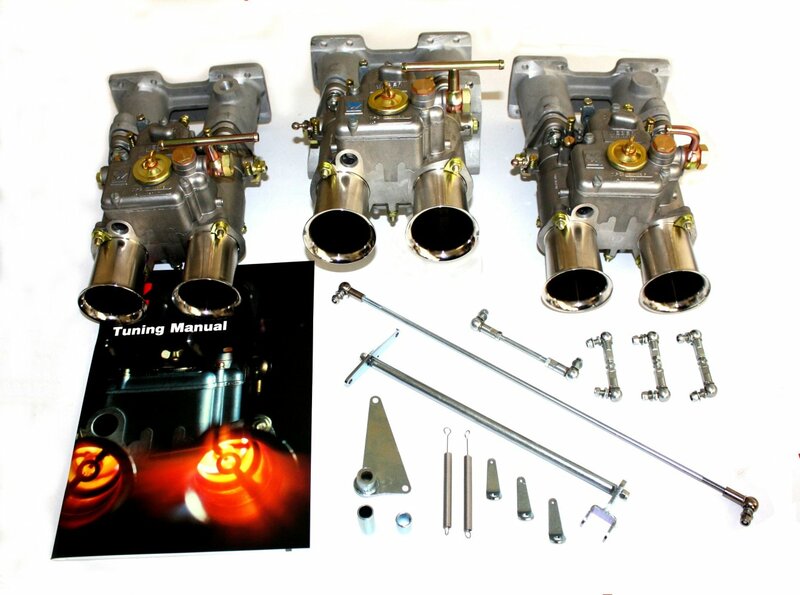 3 x cast intake manifolds. 1 x specific linkage that operates under the centre manifold.